Two weeks ago Mike Bergin of NatureBlogNetwork (also of 10000birds) put out a question to the naturebloggers whether Stumble Upon and other Social Media bookmarking services actually bring any traffic to their sites. Check the post and the discussion here! The consensus was that while Stumble Upon can have immense effect on giving traffic, most naturebloggers don’t use it or the results are not giving permanent readers, only sudden peaks. Naturally, it is hard to measure who will become a new regular reader of the blog and from where he/she is recruited. Therefore, I think there is a value also in such a sudden peak of readers that have reached your blog from the less regular outlets, than those you have among your friends and followers on Facebook and Twitter and your regular RSS feed reader. You may convert one or two to a regular reader. Furthermore, Stumble upon has a Birding index, why birding articles can be labeled (tagged) correctly (contrary to for example Digg!). Yet another Social Media experiement for birdbloggers. The tweetclub for birdbloggers I started two weeks ago has had some interesting effects on visits to the participating blogs. I want to do a new experiment. I have dusted off an old post about NatureBlogging previously submitted to SU, that probably most of you have read already. I am reposting it again on Twitter and my Facebook and ask my followers/friends to hit “thumbs up”, if they like. Instead of giving the direct link to my post, I give the Stumble Upon link in bit.ly fashion. This is the link you shall click to get to the submitted test post: http://bit.ly/ApiST. This way it is really easy to show your SU feeling about the particular post. It seems OK to do it this way on Twitter, but it looks very ugly on Facebook. But remember that this is a test. Please try it and if you are already a member of Facebook, consider writing a short review. The StumbleUpon club for birdbloggers. If this works the way I think it may work, the idea would be to have around 30 birdbloggers submitting one of their best all time (timeless) birding posts and submit it to the Birdbloggers Stumble Upon club. I imagine a blog with a great jawdropping picture prominent in the blog will get more stumbles. One selected post will be stumbled once per day by all members. There should be one post stumbled per day for a month We shall also try to twitter and facebook those posts that are in our liking. That is the outline to the idea. Let’s see how the experiment goes first. If you liked this post, check out these related posts regarding the Birdbloggers TweetClub. I commend you for taking this particular bull by the horns, Gunnar. I’ve spoken about creating a club like this for a while but never moved on it. Well done! I’m in. I’m up for it Gunnar. When do we start? I appreciate all your tips and organizing this whole thing too! More to come later. Start stumbling the selected post and let others know about it. 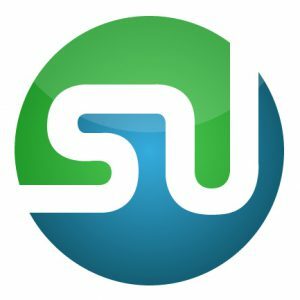 I think it is particularly usefull to include the stumbleupon url as I have, that way it is easier to stumble for non-initiated in the whole process. I’m In to Gunnar…will have more time as we leave family and head west.. I hope others appreciate what you are doing! You could keep all this information to yourself..but instead you share..and you are all about the social scene and getting to know one another..which I love! Will try the tweet thing again as well. One thing I have noticed..just as experiment…on twitter..
people click on it..and RT…thus more clicks….I do follow birders and birders follow me. They like photos of birds. I dont know if I have the type of blog that thousands will want to see..but its ok. I like the social end of this as you know..getting to meet others via this media is great. So..the more that see my blog..the more chances of meeting other Birders, bloggers, tweeters, chirpers.. I love that. Thank you for continuing to help us all grow stronger as a community. I know that I am behind in all the social tools and techniques available to aid one in growing traffic for their blog. However, I am willing to learn. I am in! Hey Gunnar, I have just discovered the answer to what I was confused about the tweet club. We are posting all the submissions for that under the “Bloggers Tweet Club #002″ comments? Then the next week (number 4) under the comments on #003? etc. Also these should be submitted by Wednesday? Is this correct? I will go submit mine now. Thanks. Yes, Larry that would be ideal, then I can leave results from 002 in the 003 post. Next post: Strange place for a nest!